I used to crochet. I used to knit. I can’t remember when I last picked up a crochet hook, but stopping knitting was a bit more recent. So when I got invited to a Nanna Skillz event put on by Yelp, I was pretty excited. I didn’t know what to expect but it involved dressing up, food, drink, nanna skills and croquet. How could I turn it down? The dress code was white and I have an aversion to white, or it does to me. However, digging through my wardrobe, I found I have quite a bit of cream, including a cream crochet skirt with gold sparkles – an op shop purchase – and a beautiful vintage cardigan. 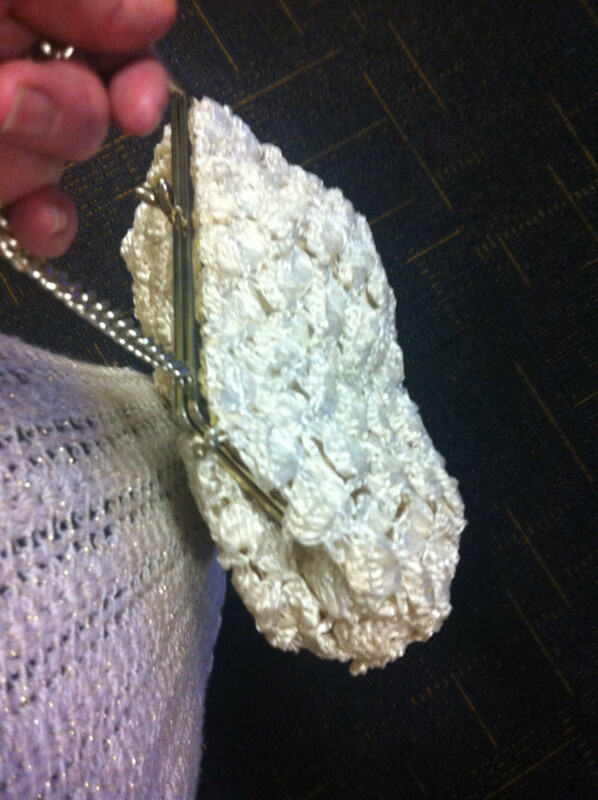 I also dug up a cream crochet handbag that used to be my nana’s. Very appropriate I thought. I had to drop my son off at a birthday party at a nearby indoor bowling place dressed like this when everyone else was a lot more casual. I just don’t care anymore but I would have been quite embarrassed a few years ago. When in doubt and a little bit nervous – strut. Surprisingly my son was okay with my getup until he saw the gold sparkles in the skirt. It was a fun Sunday afternoon. I went by myself but caught up with people I’ve met on Twitter and in real life at other events. I love that Adelaide has a great Twitter community that extends into the meeting in person. I also met a few new people. There was plenty of food to try and drinks to be had. I tasted cheese, salami, pickles, gnocchi, icecream, beer, whiskey and cofffee – all from locals. Luckily I hadn’t had time for a decent lunch prior. 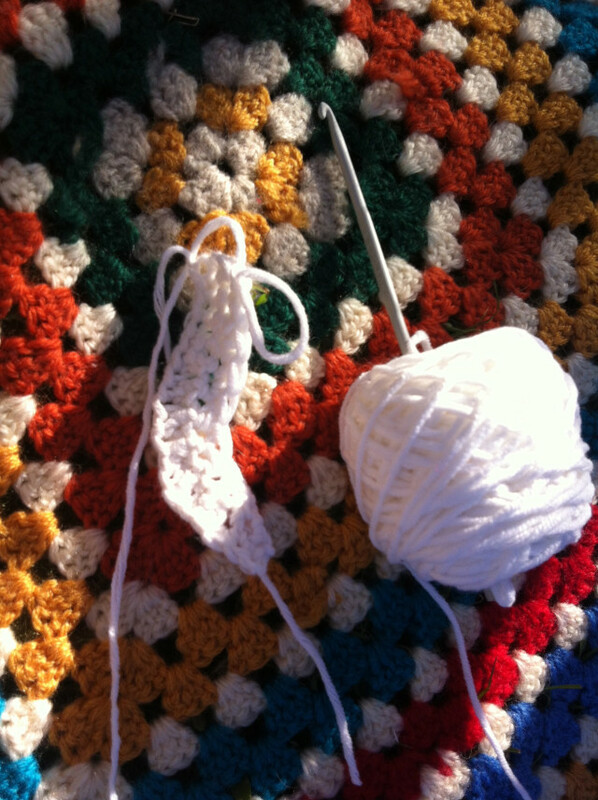 The crochet ‘stall’ consisted of a couple of crochet rugs on the ground and some very helpful and patient crocheters. And once I put my glasses on I could actually see what I was doing better. 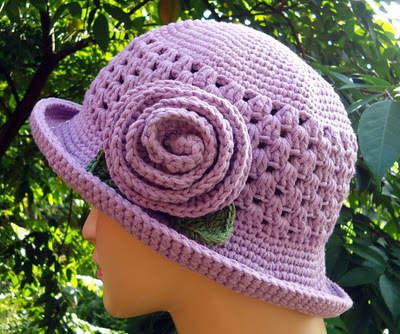 Now of course I’m all invigorated to try out crochet again. I’ve got some hooks and wool kicking around so I just might get cracking. I’ll have to relearn some more stitches and learn how to read patterns but I’m sure I can do that. 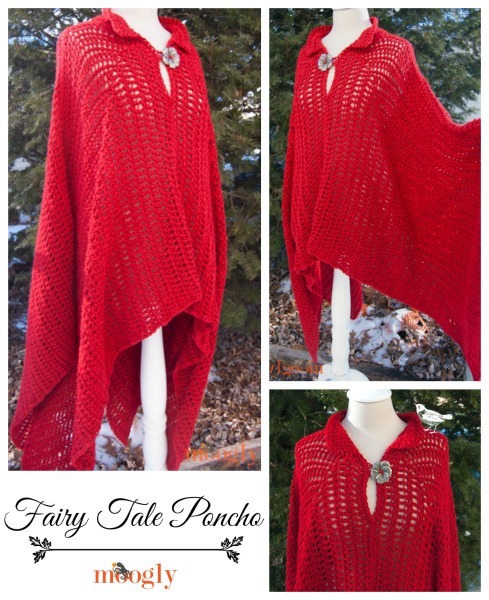 If I get good at it I wouldn’t mind making this crochet hat or this poncho. « No wind and a kite festival. No it doesn’t work.